Call us nostalgic, but sometimes we miss the days of collecting exotic coins on our close-to-home travels. Well lucky for us it turns out we still can, and we can save money all at the same time. These 10 countries offer bargain beach escapes, affordable city breaks, and breathtaking countryside excursions on a budget, just remember to double check the currency before you set off! Drawing in holiday makers every year with the promise of enticing beaches, delicious food and crystal-clear waters, Turkey boasts some of the best bargain getaways close to Europe. Sitting on the Mediterranean and Aegean seas, the impressive coastline is a beach lover’s dream. 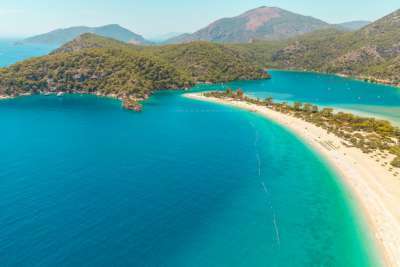 All inclusive bargains abound in Marmaris, with its glittering sea, Mediterranean cuisine, and up to 14 hours of sunshine per day during the hottest months. Dalaman is another popular area with tourists, offering an abundance of historical sites dotted around Blue Flag beaches, with the shimmering turquoise sea never far away. From Marrakech to Agadir, Fez to Casablanca, Morocco has a sun-soaked spot to suit every taste. Swap those pounds for the Moroccan dirham and jet off to see the glittering lights of Marrakech, with vibrant markets, taste-bud tantalising restaurants, winding terracotta alleyways and romantic mountain views. If you’d rather a sojourn by the beach then the coastal town of Agadir is home to golden sands that stretch on for miles, gently hugging the Atlantic. 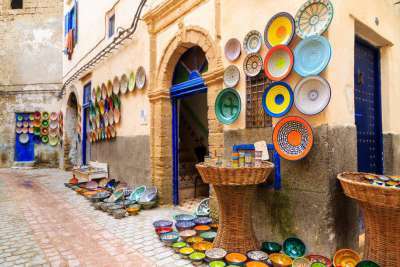 Agadir offers a glimpse of modern Morocco, while those looking for an authentic North African experience can head to the iconic cultural centre of Casablanca. 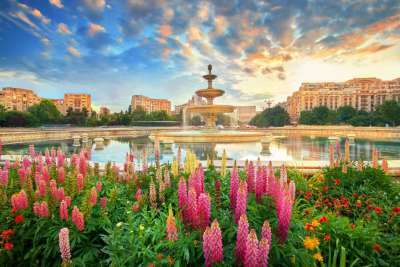 One of Europe’s best kept secrets, Bulgaria is a country that offers a million holidays in one dreamy destination – for even dreamier prices. Take to the slopes on Rila Mountain in Borovets, one of Europe’s oldest ski resorts, and glide from its peak through powdery white snow. The spectacular Bourgas coastline is popular with sun seekers, with resorts like Sunny Beach offering sea and sand with a heaping helping of cafes, restaurants and bars. The capital Sofia doesn’t disappoint either, bursting with Roman ruins, a dazzling cathedral, and a buzzing café culture that will leave you coming back year after year. Croatia’s rich history can easily be seen through its mixture of ancient Roman ruins and atmospheric medieval walled cities. A bargain getaway here could see you enjoying anything from a city break to island hopping, with stunning architecture, fresh culinary delights, and spirited nightlife wherever you end up. Take in the ornate Baroque buildings and ancient charm of Dubrovnik and see what treasures you can uncover in the narrow winding streets. You could wonder along the waterfront in Split and take in the breathtaking ocean views, or sample local wine in a hidden cove in Rovinj. With an abundance of verdant grasslands, vibrant cities and over a thousand thermal lakes, Hungary is on its way to becoming one of the world’s most booked holiday destinations. 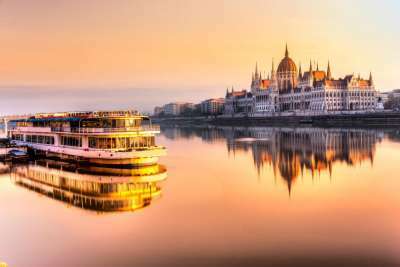 Despite its soaring popularity, Hungary is still a destination that gives you a lot for your money. Renowned for its spa culture, Hungary’s ample thermal springs are a dream when you’re in need of relaxation. In Budapest alone there are over 100 thermal springs ripe for visiting, along with authentic restaurants serving rich and spicy food, countless museums, stunning monuments, and spirited bars. Famous for its nightlife, the capital city of Warsaw is a top destination for party goers. Warsaw comes alive at night, with seemingly endless venues throughout the city welcoming revellers into the early hours. There’s also plenty to see and do in the day - the alluring market square is a UNESCO World Heritage Site which sits in the heart of the atmospheric Old Town. A mythical atmosphere imbues the streets of Krakow, Poland’s second largest city. Here you can delve into the past with a visit to Wawel Castle or a stroll through Rynek Główny. Indulge your appetite with pierogi dumplings, borscht soup, bigos stew, and all other manner of authentic delights. Romania is a country of contrasts, with sweeping countryside and energised cities alongside old world medieval charm and modern luxury. Travel back in time with a visit to ‘the land beyond the forest’, Transylvania, and find lush green woodland and wildflower meadows as far as the eye can see, with horse-drawn carts rambling along the roads and flocks of sheep wondering the landscape. Dotted throughout you will find medieval towns like Biertan and Sighisoara that appear unchanged by time. Jump back into the modern world with a visit to buzzing Bucharest, which boasts some of the best shopping, cafes, and museums in Eastern Europe. Offering low cost sunny escapes throughout the year, Egypt doesn’t disappoint when it comes to beachside fun. Egypt’s sun-drenched resorts are famous for fantastic diving opportunities. Sharm el Sheikh sits on the Red Sea and offers unrivalled snorkelling and diving in its crystal-clear waters, with many hotels offering all inclusive escapes at exceptional value. The vibrant metropolis of Hurghada is the second largest city on Egypt’s Red Sea, and is home to world-renowned coral reefs, a historic Old Town, and a dynamic city centre. For a sight of one of the Seven Wonders of the Ancient World, head to the Great Pyramid of Giza outside of Cairo. Nestled between Austria, Germany, Poland and Slovakia, the Czech Republic is renowned for offering affordable breaks steeped in culture. Prague can be reached in just a few hours, making it a top choice for a weekend getaway or mini-break. With some of the best beer in Europe at some of the most affordable prices, it’d be rude not to indulge in a pint or two, and the maze of cobbled streets littered with hidden courtyards make it a fascinating destination for wondering about and seeing what you can find. If you like more structure to your getaways then plan a visit to the alluring art galleries, churches, or Prague Castle. Not only will you not be needing euros, you won’t need to change your money at all with a trip to the British Isles' southernmost point! 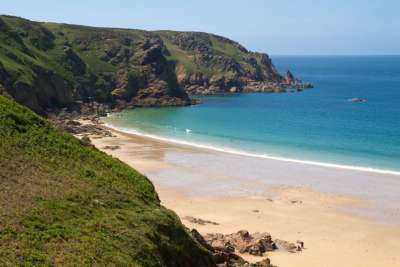 While the beer may not be as cheap as Eastern Europe and the towns lack the exoticism of North Africa, this Channel Island more than makes up for it in stunning landscapes, five-star food, and miles long strips of golden sand. Jersey is a foodie’s paradise, famed for its deliciously sweet and fresh seafood. If it doesn’t quite feel like a holiday without using different currency, don’t worry, if you’re spending cash your change will usually be given in Jersey pounds - the only place where you can still find the £1 note!